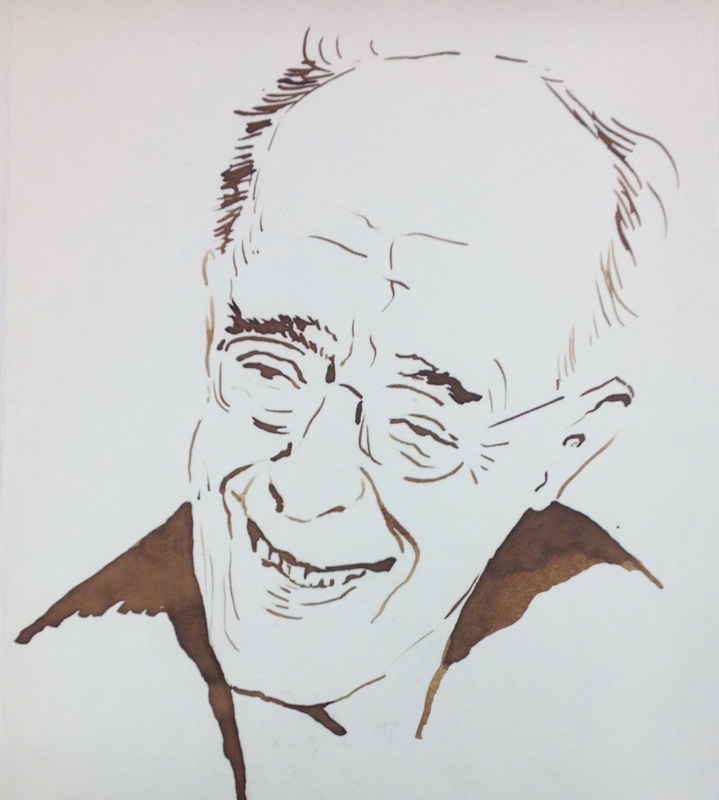 Pianist Rudolf Serkin, co-founder and longtime artistic director of the Marlboro Music School and Festival, was known for his love of practical jokes, crude humor, and other forms of childish fun, as Marissa has pointed out in her blog post on the Marlboro Music School and Festival records. According to some, he initiated the now famous Marlboro tradition of napkin-throwing wars in the dining hall, and whether or not he did in fact throw the very first napkin ball, he certainly participated with enthusiasm (as proven by his winning the “Marksmanship Award” in Marlboro’s Variety Award Letters – see image). Serkin’s antics went well beyond this, however, including long-lasting runs of back-and-forth practical jokes with certain Marlboro participants, some of which are documented in Rudolf Serkin: a life by Stephen Lehmann and Marion Faber. But while Serkin is the most famous Marlboro jokester, and no doubt deserves credit for promoting a light-hearted atmosphere at the festival, the true comic maestro of Marlboro was their music librarian, Shirley Ann Weekley (who is responsible for the “Baacarole” in Marissa’s post). a compilation of concise factual info/rmation, titillating gossip, scandalo/us lies, trivia, and sheer fabricatio/n, with absolutely no indication as t/o what falls into which category, thu/s leaving this distinction solely to the judgment of the reader. edited b/y shirley weekley, mimeographed by d/avid white, map by david o. decker, /vertical alignment by the marlboro m/onster, musical examples drawn by a /team of presser building mice. conde/mned by the daughters of the america n revolution, approved by idi amin, /indexed by a chimpanzee, and collate/d by the peoples’ marlboro festival /chorus of the green mountain-white r/iver sanitation district. It would be very surprising indeed if you have not read or heard at least something about the possible existence of such half-mythological monsters as the abominable snowman. Serious scientists are even now looking for the Loch Ness monster. They have even given the monster a scientific name: Nessiteras rhombopteryx. In the midst of all this hullabaloo about such famous beasts as Nessie and Big Foot, the sightings of a mysterious creature in the vicinity of Potash Hill, Vermont have been all but ignored. Each night, as the mists rise behind the Presser Building, a hulking form emerges from the Music Library. It is the Marlboro Monster! Part human, part vaporous emanation of the combined thoughts of all past Marlboro participants, it materializes at the stroke of midnight from the seepage in the Presser basement hallway. Though it has never been photographed or even observed in action, ample evidence of its existence can be extrapolated from signs of its activities. Even in this issue of WTM you can see that the Monster has tampered with the vertical spacing on our IBM Selectric. There have been many unexplained instances of cards being removed from the schedule board, entire buildings being shrouded in sheets, cars being lifted bodily and replaced in a distant location, missing stands and parts. Since no human hand could have done these things, you may be sure that whenever such mysterious happenings take place, it is the work of…THE MARLBORO MONSTER. NOTE: WTM is not responsible for, or necessarily in agreement with, the above irresponsible assertion or any of the opinions expressed herein. Other recurring characters include “Euphemistica Glossovia” and “Casper Fenwick” a fictional musicologist and composer, respectively. 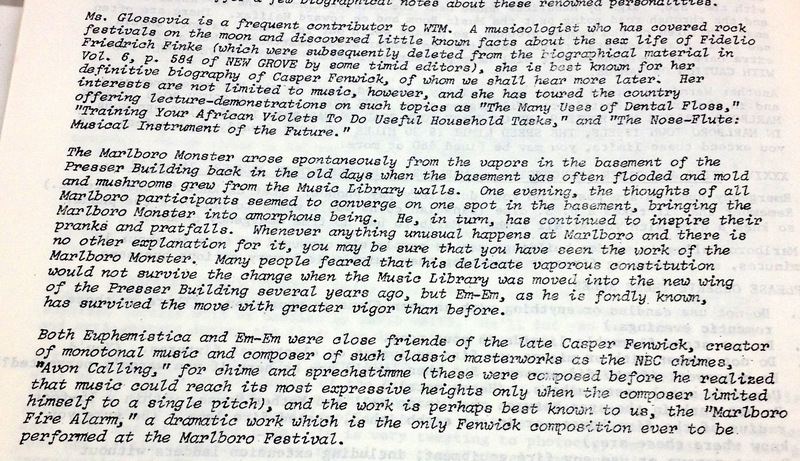 The 1984 edition of WTM provides some biographical details on them, as well as the Marlboro Monster, who was still going strong 7 years later. Apparently all three characters knew each other. Here the Monster is affectionately referred to as “Em-Em” and I’ll omit its portion in the transcription below since we have already heard so much about it in the 1977 edition. Both Euphemistica and Em-Em were close friends of the late Casper Fenwick, creator of monotonal music and composer of such classic masterworks as the NBC chimes, “Avon Calling,” for chime and sprechstimme (these were composed before he realized that music could reach its most expressive heights only when the composer limited himself to a single pitch), and the work [that] is perhaps best known to us, the “Marlboro Fire Alarm,” a dramatic work which is the only Fenwick composition ever to be performed at the Marlboro Festival. The above humor comes in the form of marginalia and appendices to the main body of the text, but Shirley could be quite funny even in the informational sections. When warning participants to keep quiet in the dorms after 10pm, for example, she concedes that if “in a moment of intellectual excitement you may continue to recite Shakespear’s sonnets in an exceedingly loud voice until 10:01 P. M.,” that such persons will be pardoned. 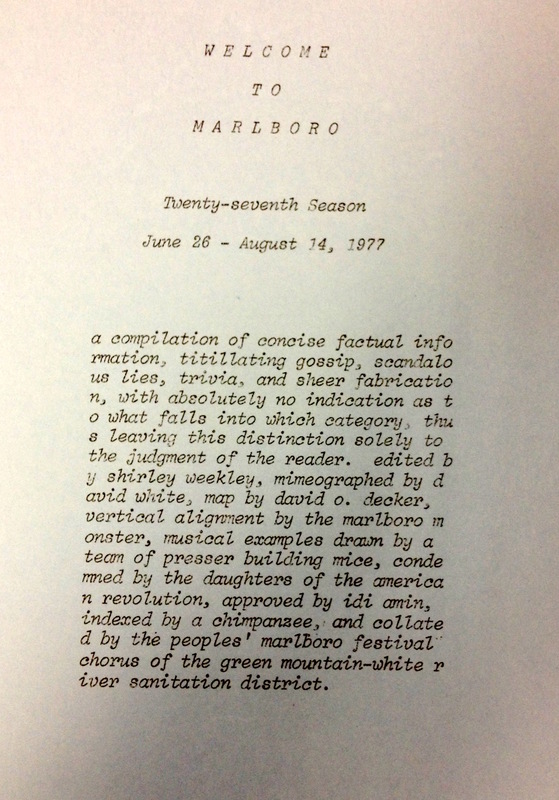 The Welcome To Marlboro packets may have been Shirley’s masterpieces, but her entire oeuvre includes all manner of one-off documents, such as a Marlboro-themed parody of the Declaration of Independence, in which participants declare their independence from music conservatories and proclaim their unalienable right to the “Pursuit of Happy Hours.” Her work is so numerous and well represented in the Serkin papers that selecting examples is quite a task, and though I wish I could post all of it, I’ll keep this post to a reasonable length and stop here. Those interested in the full Shirley Weekley experience should look under the “Marlboro Music School and Festival” series heading in the Rudolf Serkin papers’ finding aid. The Welcome To Marlboro packets, which date from B.S.W. (Before Shirley Weekley) in 1967 to 1987, where her jokes were surely more than weekly (I think she would appreciate the pun) can be found in Folders 34-47 of Box 141. Additional material can also be found in the Marlboro Music School and Festival records. But beware the Marlboro Monster! Rudolf Serkin (1903-1991) was a classical pianist who is widely regarded as one of the 20th century’s greatest musicians. His personal papers, with a few minor additions from his wife and biographers, have now joined the Kislak Center’s archives, preserving the life and work of this incredible musical force, as well as the many musicians he knew and worked with. Represented in 182 boxes are his personal correspondence, performance records, papers relating to the Curtis Institute of Music, the Marlboro Music School and Festival, and the Institute for Young Performing Musicians, as well as a range of personal items, photographs, and a few videos and recordings. A complete listing of the collection and a fuller biography of Serkin can be found in the finding aid. The University of Pennsylvania already houses a wealth of material related to the orchestral conductor Leopold Stokowski. His papers are preserved in Ms. Coll. 381, his musical scores, transcriptions, and arrangements in Ms. Coll. 350 and Ms. Coll. 351, and the research materials of his biographer Oliver Daniel in Ms. Coll. 382. 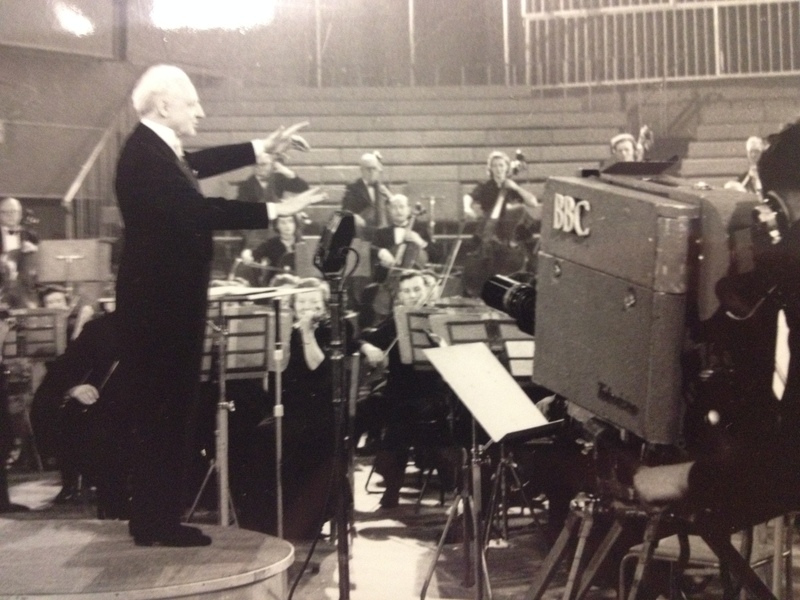 With the Curtis W. Davis collection on Leopold Stokowski, 1936-1992, the library can now boast five collections on this towering musical figure. Stokowski is a name that will no doubt still be familiar to many. He is remembered by lovers of orchestral music as the man responsible for bringing the Philadelphia Orchestra to fame, and who left behind numerous recordings that continue to attract listeners to this day. Many others may also remember him from their childhood, as the silhouetted figure who shakes Mickey Mouse’s hand in Disney’s Fantasia, for which he conducted the orchestra. Information about him and his life is also not difficult to find. For this reason, I’ll give only the briefest of biographical sketches here (those who are curious for more might take a look at Oliver Daniel’s biography, available in the library at ML422.S76 D3 1982). 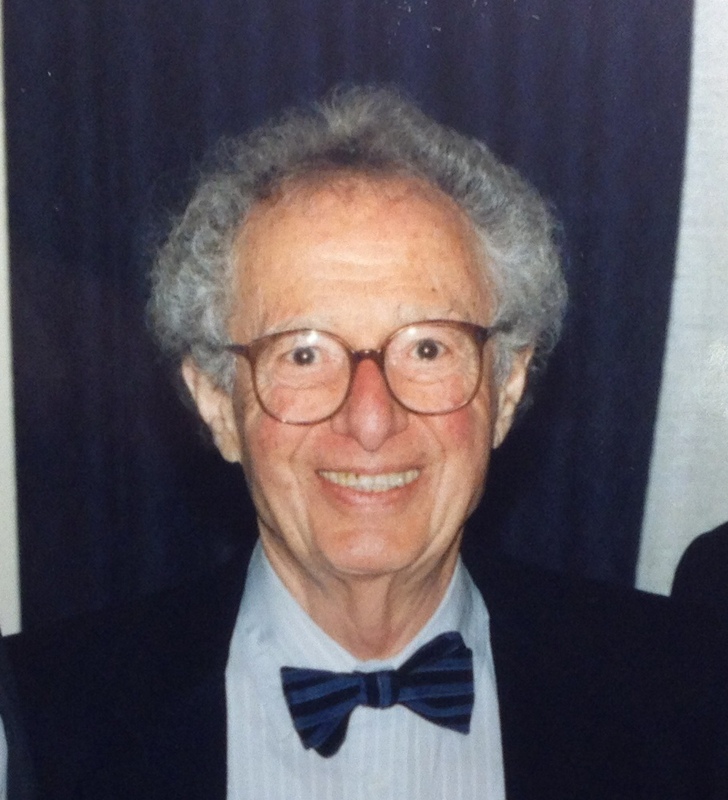 Musicologist and composer Leonard Meyer may have retired from the University of Pennsylvania in 1988, but his personality lives on in the Leonard B. Meyer papers, 1935-2008, which is now completed and ready for researchers at Penn’s Special Collections Center. “Lenny,” as he was known to friends and colleagues, has in a sense never left the Van Pelt-Dietrich library, where his many published works continue to draw students and scholars to the fourth floor’s “ML” section. This collection supplements the books in the stacks with a sizable body of important related material. All of the materials that one might expect to find in a scholar’s archival collection are present, such as drafts and notes for his writings and his correspondence, where his ideas evolved and strengthened as they were tested out on his colleagues. Especially noteworthy are the extensive notes for the abandoned book project Music as a Model for History, where Meyer had planned to use his theories of how the mind processes music as a metaphor for how we understand history. But just as exciting (and even more fun!) are the types of documents that might not be found in every scholar’s papers and which reveal Meyer’s distinct personality. These include a range of items, from the more serious (such as Meyer’s original musical compositions, personal letters, etc.) to the utterly silly (joke poems).